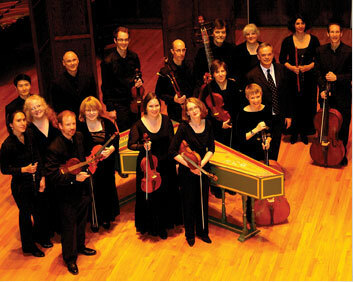 Wabash College Visiting Artists Series presents Indy Baroque Orchestra in a concert of 17th and 18th century music. The concert will take place Friday, February 24, at 8:00 p.m. in Salter Concert Hall in the Fine Arts Center. Tickets to the concert are free and may be reserved in advance through email (boxoffice@wabash.edu) or by calling 765-361-6411. The box office opens at 6:30 p.m. on the night of the concert. The mission of Indy Baroque is to enrich, educate, and inspire the central Indiana community through the performance of 17th and 18th century music on period instruments. Conducted by the IBO's artistic director, internationally renowned Baroque flutist, Barthold Kuijken, the concert will include Suite in D by Georg Philipp Telemann; Concerto in E minor by Antonio Vivaldi; J. S. Bach's Brandenburg Concerto No. 3; Symphony in G by Johann Stamitz; and W. A. Mozart's Flute Concerto in D, with Kuijken as soloist. Kuijken is the world's leading performer on the Baroque flute. He has further advanced the 21st century place of the Baroque flute by rediscovering and editing original 17th and 18th century repertoire for the instrument, including a newly annotated Urtext edition of J.S. Bach's flute compositions. He currently serves as professor of Baroque flute at the Royal Conservatories of Brussels and The Hague. In addition to playing in the Baroque orchestra La Petite Bande, Kuijken has an active touring schedule as soloist, conductor, and master class teacher. Concerts take him throughout Europe, North and South America, Japan, Australia and New Zealand, Israel, and Russia. Kuijken will give a pre-concert talk starting at 7:45 p.m. in the Salter Concert Hall.